Unwanted tattoos on the body are no longer a permanent problem. Thanks to laser therapies, patients can now enjoy laser tattoo removal to fade away tattoos anywhere on the body. 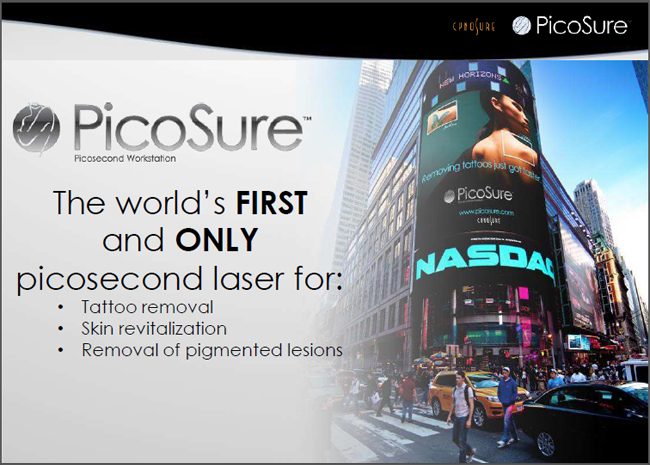 The PicoSure laser can break down the pigmentation of the inks in the skin and allow the body to safely absorb them, reducing the appearance of tattoos. Fine lines, wrinkles, and the development of poor texture and tone are common complaints for aging skin. Dr. Peter Vitulli and his team of professionals can use the PicoSure laser to help stimulate skin cell turnover and allow patients the chance to obtain a more rejuvenated, youthful look. Pigmentation issues and lesions are a common complaint for patients, and using the PicoSure laser is one way to remove this discoloration from the skin and provide better skin tone. Acne is a problem that doesn't just affect teenagers but adults as well. Our practice can utilize prescription-strength topical therapies and oral medications to help control acne, though many patients enjoy combining laser treatments with their regimen as well for more advanced and effective results. The PicoSure laser can help in reducing active acne and allowing the skin to rejuvenate itself, sometimes even addressing acne scarring on the skin.